Building the infrastructure of the world. 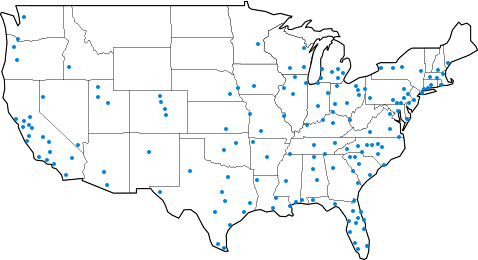 From small commercial to large industrial projects, PlanGrid is used in 79 different countries. More than 100M blueprints live securely in our cloud. We're a team of passionate and talented people working globally, headquartered in San Francisco. From top-tier investors including Sequoia Capital, Tenaya Capital, Founders Fund and Y Combinator. Construction is one of the least digitized industries in the world. Join us in our mission to create software that will revolutionize a $10+ trillion industry. We are passionate about building and selling software that people love to use. As a result, over 1 million projects are now being built at a pace that was previously impossible. Here at PlanGrid, we work hard, treat each other well and care about quality. Our team is composed of talented people with a wide variety of backgrounds - most notably, engineers from companies such as Google, Amazon and Facebook and construction experts from firms like Rudolph & Sletten and Skanska. D&I is a business priority at PlanGrid. We have a D&I Council to advocate for diversity and promote inclusion to build an even stronger PlanGrid. We also have passionate employee-driven groups such as Speaking Up, Representing the Grid & QueerGrid. We volunteer in the larger community at places such as Curry Senior Center, Bryant Elementary, Habitat for Humanity, and many others. We regularly conduct a comprehensive analysis of employee salaries to compare the compensation of men and women performing similar work. 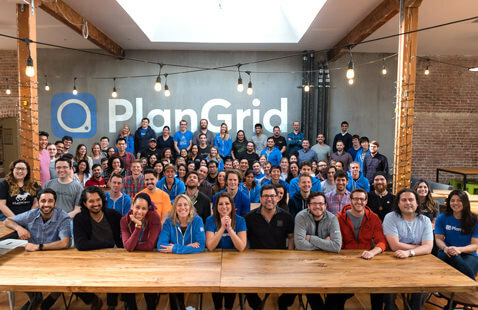 We are proud that at PlanGrid, men and women are paid equally. We are proud to provide gender-neutral, wheelchair-accessible bathrooms, ASL interpreters for our company Town Halls and flexible meals to accommodate dietary restrictions. "I feel lucky to work for PlanGrid because I get to sell a beautiful product that makes a huge difference in the lives of our customers. We save them incredible amounts of time and frustration, help them build more efficiently, and get them home to their families!" "Over the past 4 years, we moved from a 3 person 'backend' team that didn’t use basic monitoring tools to a 20+ person infrastructure team that supports the latest technology and builds the foundation for an international construction platform. I can’t think of a better group of people to tackle the technical and procedural challenges that this pace of growth requires." PlanGrid provides premium medical, dental, and vision coverage for full-time employees and their dependents. We believe in sharing our success. All full-time employees receive equity as part of their total compensation. We offer Clipper cards to all full-time employees, so we save on fares while helping to save the environment. We work in a beautiful, exposed brick loft at the heart of San Francisco’s Mission District, just one block from BART. We work hard and strongly encourage everyone to take the time to recharge with a generous vacation policy. Catered lunches are provided multiple times each week, and HQ is well-stocked with healthy beverages, snacks & breakfasts.